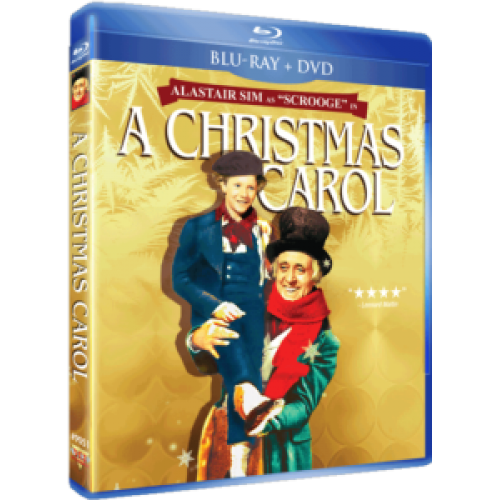 Alastair Sim's tour-de-force performance as the ultimate miser, Ebenezer Scrooge, has almost single-handedly made this beloved version of Charles Dickens' story into one of the best-loved Christmas films of all time. Some of Britain's best filmmakers united behind Sim, who was joined by a delightful cast of accomplished and acclaimed English actors; creating what many today believe to be the best and most faithful production of Dickens' immortal tale. Cranky and curmudgeonly Scrooge learns the error of his unkind ways and is taught the true meaning of the holidays when he is visited by the ghost of his late business partner and the spirits of Christmas past, present and future. This Blu-ray edition has been digitally restored from a new 1080p, 24fps high definition transfer master produced from the 35mm negative and fine grain. 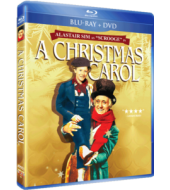 Bonus DVD Copy of "A Christmas Carol"
BIBLIOGRAPHIC ESSAY by Fred Guida (10 mins)"